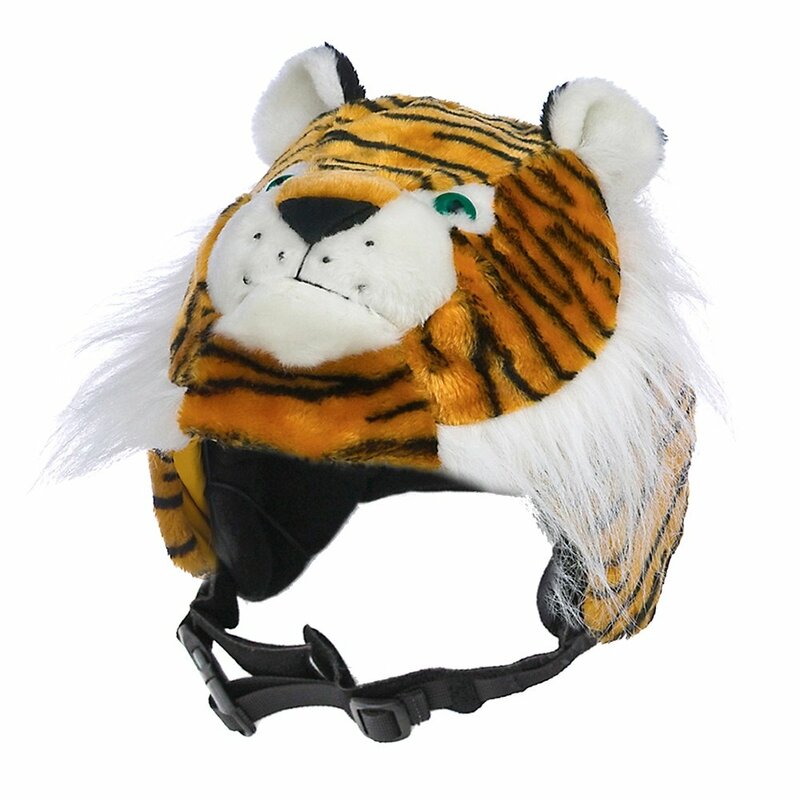 Even bigger kids and adults can have a wild time on the slopes when there's the crazeeHeads Kleo the Tiger Helmet Cover. The adjustable toggle easily fit helmets of all sizes, big or small. Turn your cover "fur" side down. Loosen toggle in the back of the cover and place your helmet inside. Ensure that the cover is lined up with the front edges of the helmet. Thread helmet straps through the loosened elastic cords. Pull cords over side pieces of your helmet. Tighten toggle to fit cover snuggly.